Guests have always described this bedroom as cozy, charming and comfortable! 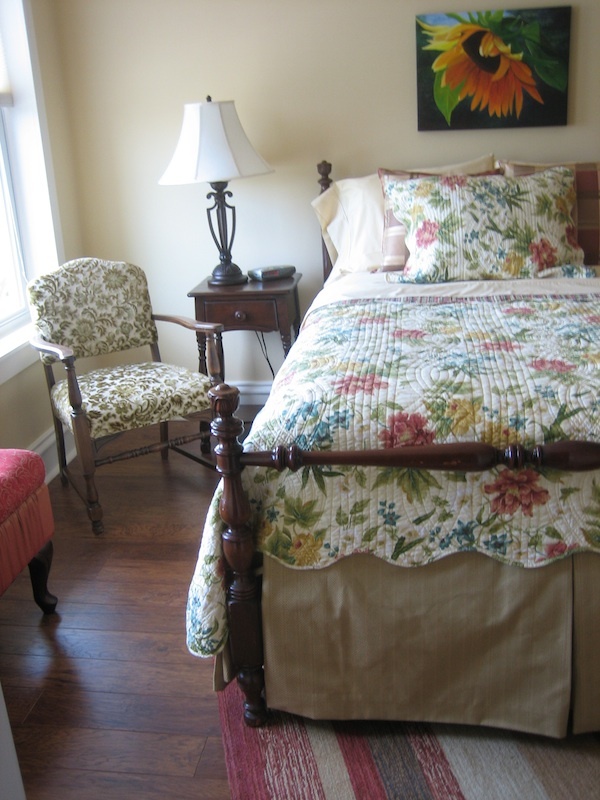 It offers a full size bed with comfy floral linens and a window bench. There’s plenty of storage in the attractive armoire. Views of the countryside and wetlands are yours from each window. The Sunset Bedroom can be rented as an extension of the Barnside Bedroom since they have a jack-n-jill bath arrangement. This set up is great for families traveling with 1-2 children or other extended family members.